All this complaining talking about marketing and creatives got me thinking: how would I promote the team? First of all, the Padres marketing department is in a tough position. They’ve lost two franchise players over the course of about a year, and will likely lose Adrian Gonzalez via a trade or when his contract expires in November of 2012. Most of their other well known players have been hit by injuries (Chris Young), or are trade candidates (Kevin Kouzmanoff, Heath Bell, [please!]). Clearly it’s time for a youth movement. But we’ve known that, considering it began halfway through the 2009 season. Who should the team expect to step forward, not just on the field, but in the eyes of the fans as the face of the franchise? Some might expect Tony Gwynn to take reigns as team diplomat. Unfortunately, Gwynn has but two things going for him in that regard: his last name, and his 2009 season. Every year from 2004-2008 Gwynn has demonstrated he will never be a starter on a championship team. I hope those in charge have a good think before Franoeuring him into a role for which he isn’t ready. That leaves three players, each with a chance of becoming stars in Petco Park over the long haul. Though they have yet to prove themselves, Everth Cabrera, Mat Latos, and Kyle Blanks all have bright futures in San Diego, and should be introduced to the public as the future of the Padres. To do a job for which I’m not being paid, nor was I ever invited to do, I would like to help this effort. 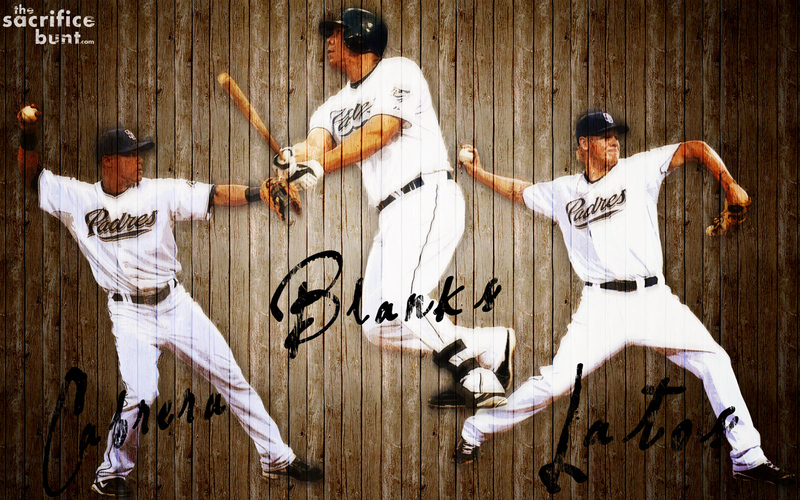 As such, I set my creative juices in motion, and present this Cablanktos wallpaper for your viewing pleasure. Huge thanks goes out to SD Dirk, who publishes his gorgeous photos on Flickr and licenses them for others to use in their own projects. My work is published under a similar license. 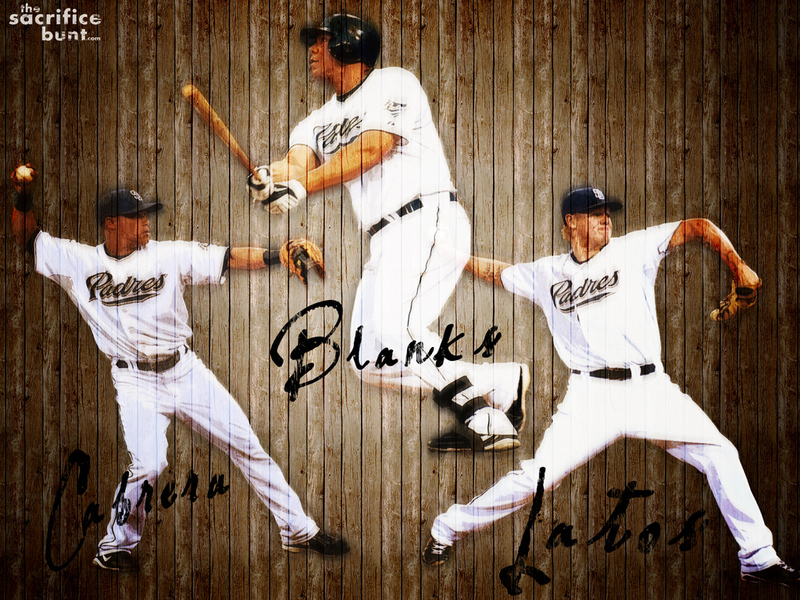 Here are his Cabrera, Blanks, and Latos shots. I like it. I think that trio is a solid group to market. I was actually surprised Clayton Richard was 1 of the players rumored to be a bobblehead giveaway next year instead of Latos. Nice tip regarding SD Dirk too. Richard is a total dreamboat hunk, so it shouldn’t be much of a surprise. I can confirm: Richard is a card carrying dreamboat hunk. Not a fan of that wallpaper, but after the masterpiece that was the Adrian wallpaper, everything looks like it was done in crayola. This one started as a prospects version of the Adrian one, but then I got bored. Maybe I’ll do a second edition.